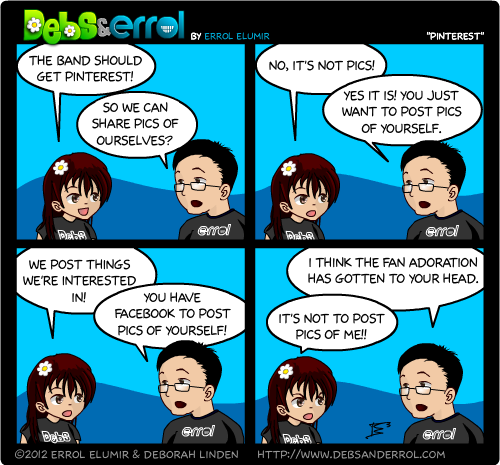 Errol: Debs and I were talking about pinterest. She wants one for the band. Personally, I feel that pinterest makes me feel like a Takei wannabe. 😀 I use it as a place to save cool pics… something like imgur, but imgur has a limit. I don’t know if pinterest does.